Elizabeth Goddard Interview and Tailspin Giveaway! Hi friends! Elizabeth Goddard here. I’m one of the Suspense Sisters, as you already know, so instead of answering interview questions, I thought it would be more fun to do a simple blog post. 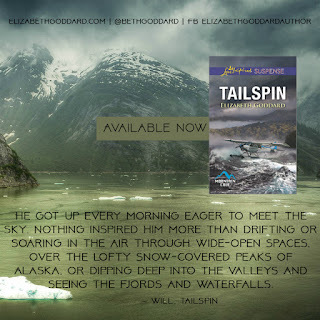 Today I’m sharing with you about my new release——Tailspin. Q1: What is your dream adventure vacation if you could travel anywhere in the world? Q2: What adventure would you love to experience, if it didn’t terrify you? Or you can BUY the copy HERE. Now, back to discussing Tailspin. I happen to love this title, and my editor loved it so much that she kept it. Usually, at Harlequin, we’re asked to send in a list of titles from which our editors choose. They know what titles have already been used in the line or what will soon release and don’t want to use a title twice. As it turned out, Tailspin was not only the perfect title for my story, but no one had used it yet in the Love Inspired lines. Hoorah for me! Nothing can stop Sylvie Masters from scuba diving to find her mother's downed plane—except possibly the hit man determined to keep the truth from surfacing. When brave bush pilot Will Pierson comes to her rescue, she knows she can still reach her goal, but she needs his help. Will wants answers about the crash, too, especially since his mother was the missing plane's pilot. He'll be the hero Sylvie needs, but can he ever trust her? Sylvie is shrouded in secrets that keep leading her back to Mountain Cove. Secrets someone will kill for. 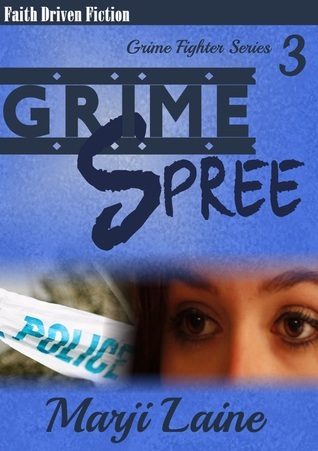 Will may protect her, yet no one can persuade her to end her search…not even a killer. Tailspin is the 5th book in my Mountain Cove series, and it answers a big question I raised in Buried, the 1st book. But don’t worry, you can read it as a standalone if you haven’t read the Mountain Cove series. As I wrote the Mountain Cove series, new characters emerged in the stories and I knew that one character in particular—a bush pilot named Billy—needed his own story. So he was my main inspiration. I’ve always wanted to write a bush pilot story. But then who do I pair him with—his exact opposite. A scuba diver who hates to fly! This story was one of my favorites to write because of the flying and the diving. I had to do a ton of research for both elements. This is probably a good time to bring up that I had planned to be a marine biologist. I took the scuba diving lessons and I’ll go ahead and admit that I found it terrifying! That’s one of the main reasons I changed my direction in college. So do you think I’m a chicken now? Well, at least I can experience all these adventures by living through my characters, right? So I’m scared of both flying and diving—which made writing this book even more fun. I love a great adventure and I hope you’ll join me on one with Tailspin. Thank you so much for joining me today. Don’t forget to enter the drawing for Tailspin. And I’d love to hear from you. Leave a comment or a question for me, or connect with me at my website: ElizabethGoddard.com Don’t forget to sign up for my newsletter while you’re there to receive updates and news about the next book release. Sean has always felt like an outsider in his own family. Now he must risk never achieving what he wants most--his father's love. 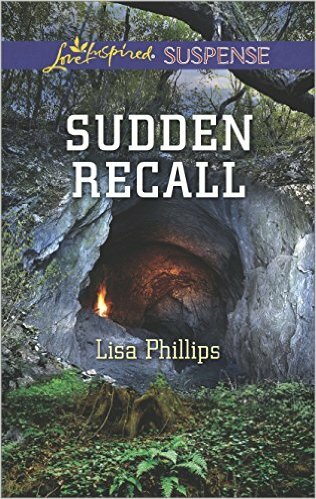 This week we’re reviewing SUDDEN RECALL by Lisa Phillips. On Wednesday we’ll hear from Suspense Sister Mary Ellis. 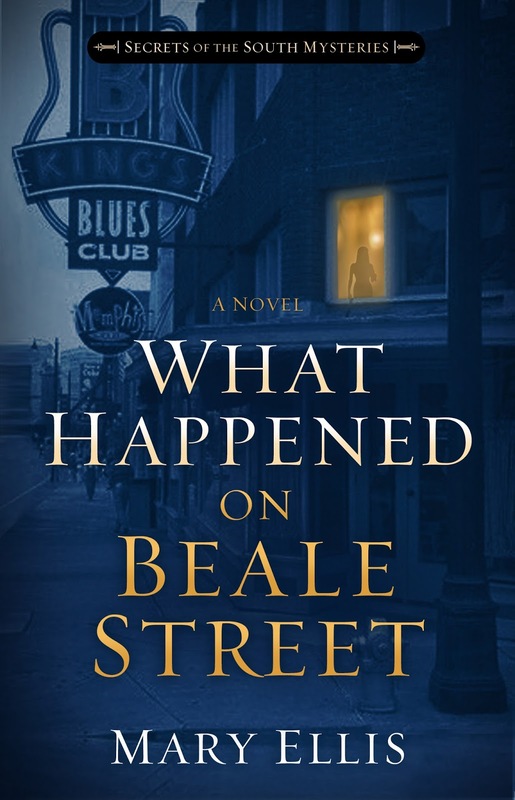 She’ll be sharing “Five Characteristics of Memorable Heroines.” She’llalso give away a copy of her great new book, WHAT HAPPENED ON BEALE STREET! 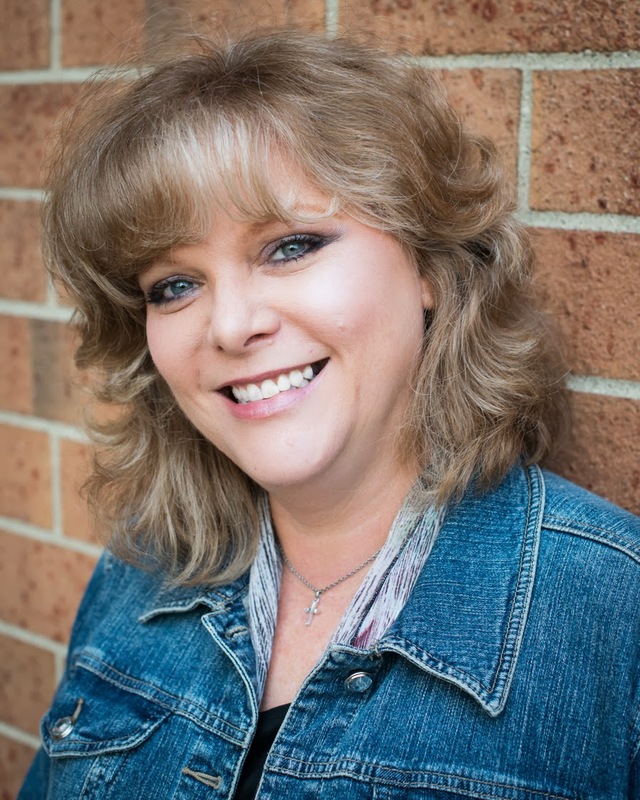 Sandra Robbins, former teacher and principal, is a best-selling and award winning multi-published author of Christian fiction who lives with her husband in Tennessee. 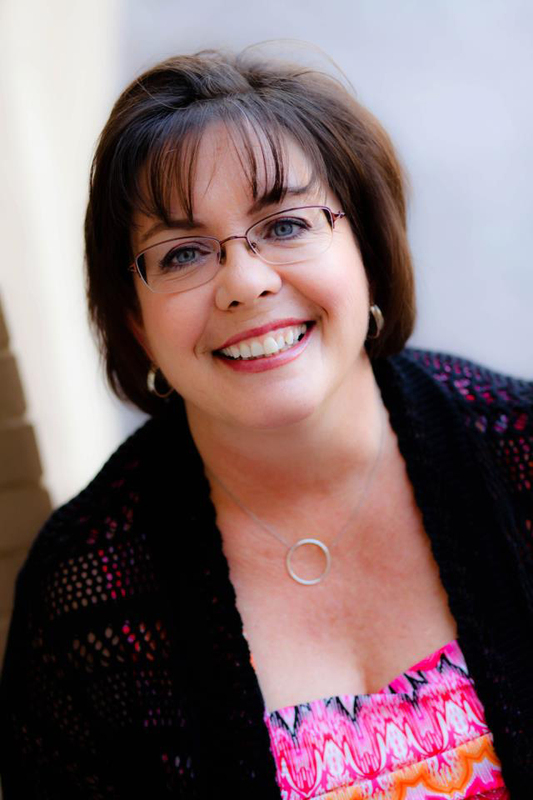 To date she has published ten romantic suspense novels, one cozy mystery, one novella, and eight historical romances. Angel of the Cove, her first book in the historical romance series Smoky Mountain Dreams, was named the 2013 winner in the Single Title Inspirational Category of the Gayle Wilson Award of Excellence. This award is given by the Birmingham Southern Magic Chapter of Romance Writers of America for excellence in writing romance. Also in 2013 her Love Inspired Suspense books Shattered Identity and Fatal Disclosure were both awarded HOLT Medallions in different categories of the Virginia Romance Writers of America contest to honor outstanding literary talent. In addition her books Final Warning (Love Inspired Suspense) and The Columns of Cottonwood (Barbour) have been finalists in the ACFW Carol Awards, and her cozy mystery Pedigreed Bloodlines (Barbour) was a finalist for the Daphne du Maurier Award given by the Kiss of Death Chapter of Romance Writers of America. Her novella Christmas Comes to Bethlehem Maine released in November, 2014, and made the Evangelical Christian Publishing Associations Best-Seller list. 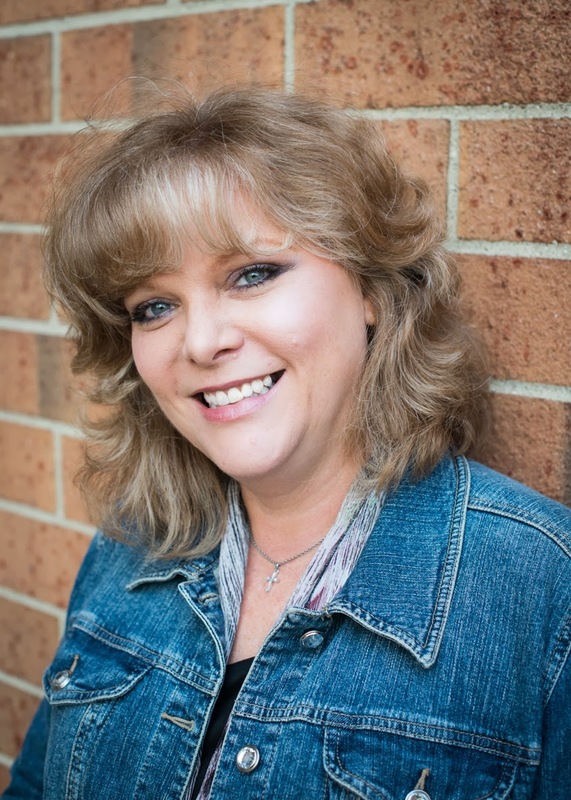 Her latest book Fugitive Trackdown in the Bounty Hunters Series released in February, 2015, and will be followed by Fugitive at Large in May, and the third book December. I had always dreamed of writing a book, but I was busy teaching school and raising four children. One day about 2003 it occurred to me that time was passing by and if I wanted to write a book, I needed to get busy. I sat down at the computer and began to write. I attended my first ACFW conference two years later and sold my first book soon afterwards. I try to write daily during the week. Since I’m a night person, I like to write in the afternoons and after dinner. Sometimes I write late into the night. I think at different times I’m either one or the other. I write a synopsis when I begin a book, but I often find myself going in a different direction as the story develops. That’s always exciting to me because I feel like my characters are leading me into new territory. So, I suppose I would describe myself as eclectic. My ideas come from a wide range of sources. My favorite part is beginning a new book. I’m always excited and just brimming with ideas. 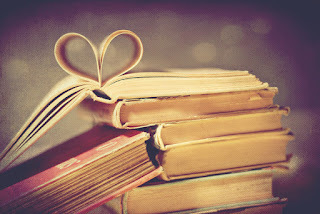 As the words flow, the story begins to speak to me, and I begin to really embrace my characters and their feelings. My least favorite part is wondering how readers are going to receive my work. I try not to read my reviews, but sometimes curiosity overcomes me. It hurts when you see that someone didn’t connect with what you were trying to say. However, my job for seventeen years as a school principal helped me develop a thick skin, and it’s come in handy as a writer. I love doing research, and I get excited when I find something that will make my book even better. A few years ago after visiting Ocracoke Island I wrote a three book series set on the island. One of the stories revolved around the lighthouse that is located there. However, the lighthouse was no longer open to visitors, and I needed to know something about what it looked like inside. I got on youtube and found a video that had been made of a tour for a group right after an intensive renovation had been done on the structure. So I watched the video and felt as if I was right there touching the inside walls and climbing the stairs to the widow’s walk at the top. Another time I found a video on youtube of a group hiking up Gregory’s Bald in the Smoky Mountains. I got to experience it without actually having to do the hike. That’s the kind of research I like. My latest release is Igniting the Flame: Firebrand Begins, and it is up for preorder at amazon now. It is a novella that introduces the three books that follow about the exploits of a band of brothers who were covert operatives for the government. Now after ten years they have retired from their dangerous lifestyle and have built a training center where they will teach law enforcement officers, military personnel, and security guards the techniques that they’ve learned. However, during their years of performing missions around the world, they made enemies. Those enemies have now resurfaced and are intent on getting vengeance on each of them and the people they love. Igniting the Flame releases March 25, Targeted releases in April, Hunted releases in May, and Betrayed releases in June. In the last few years media news reports have been filled with exploits of professional operatives who provide services to government agencies. As the American public has become more educated about the individuals who provide added assistance to the military, interest has grown in knowing more about the individuals who choose to live such a life of danger. This series provides a glimpse into the lives of three men who served their country by planning and executing covert missions and how their exploits put themselves and those they loved in danger. I am presently working on a four book contract for Love Inspired Suspense that is titled Smoky Mountain Secrets. In a Killer’s Sights the first book releases in July, and Stalking Season book two releases in December. I have played the piano since I was six years old, and I received a college degree in music. Through my college piano teacher who studied at the Curtis Institute of Music in Philadelphia, I can trace my piano teachers back to Beethoven. That is a difficult question. I am an antique lover and have many beautiful pieces that I’ve bought through the years including a large collection of flow blue china and blue and white stoneware. However, a wise elderly antique dealer once gave me some good advice when she said, “Honey, they are just possessions. Nothing more.” I’ve always tried to look at the things I have in that light, and I am thankful that God has let me enjoy them. There is one thing that I would grab, and that’s the framed picture of my mother and me taken when I was about three years old. She is seated with me standing beside her with my hand in hers. She’s passed away now, and that picture is very dear to me. Leave a comment for a chance to win an ebook copy of "Igniting the Flame". HERE IT IS! TODAY ONLY! Slightly used author’s items available at bargain prices! Welcome! Did you see my sign? Is it close enough to the road? Good. Well, yes, we do have a lot of stuff here. Let me show you what I’ve got. You can get some great buys. Just take a look around. For instance, over here, I have a large, slightly shop-worn ego. No, I don’t have the original box, but it’s still in working order. It took a lot of hits over the past year. I regret that I put it out where it was so vulnerable to the elements. Even in this condition, it’ll give you quite a few more good years. It’s yours, if the price is right. That table over there? Those are the hats I’ve worn. This publicist’s hat, for instance. I had to wear it a lot this year. It was pretty expensive, let me tell you. I can give you a deal on it. Oh, that eyeshade? That’s my editor’s hat. It’s gotten a lot of use. That pointy hat? No, it’s not Harry Potter’s. It’s my thinking cap. I used that as much as my editor’s shade. It kept slipping over my eyes so I couldn’t see the clock. I missed a lot of deadlines that way. But it works. Boy, does it work! Check out this coffee can here. Give me a reasonable price and you can have everything that’s in it: almost a pound of miscellaneous adverbs. They’re perfectly good, just superfluous. I cleaned them out of my most recent story. Too many of those things and the work is done for, you know. They’d work perfectly well for a story that needs them, though. That box of grandiose adjectives? Those are free for the taking. They’re really pretty, but a little too fancy for me. I tend to be a little more plain when it comes to writing. Sure, it’s yours; just put the carton in your trunk. Well, I’d like to get something for those used similes. They’re a little worn around the edges, but serviceable. So are those idioms. Colorful, aren’t they? Pretty decorative when you use ‘em right. Look at this box of paper over here. I’d say it’s about a ream. Those sheets would be great for scrap paper. No, you don’t need to turn that over…well, yes, it’s a rejection. They all are. Got a fireplace? You could twist them and use them to get the logs burning. The twisting part is very therapeutic, I’ve found. So is the burning part, come to think of it. Could you use these empty liquor bottles? They’d make pretty good candle holders. That’s about all they’re good for. I tried looking for plots at the bottom of them, but no luck. Oh, that’s the garbage can. It’s where I threw the double negatives, dangling participles and wasted time. I couldn’t even give those to charity in good conscience. You can’t use ‘em. That? I’m giving that away, too. No, it’s not a footstool or a door stop. It’s a giant economy size writer’s block. So far, I haven’t had any takers. You want it? Make an offer? No? Well, anyway, it was good of you to stop by. I’ll be here ‘til long past midnight. The winner will be announced in a week. E.E. 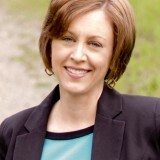 Kennedy is the author of the Miss Prentice Cozy Mystery Series. Her newest release is INCOMPLETE SENTENCE. Read the rest of Brittany’s review on our REVIEW PAGE! On Wednesday and Thursday we’ll hear from Suspense Sister Ellen Kennedy! Find out about her "Writer's Yard Sale!" 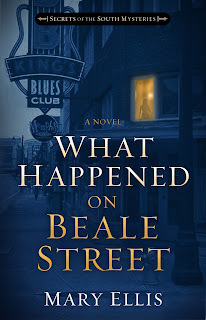 And make a comment to win an ebook copy of one of her great mysteries! 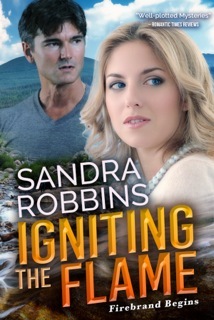 Friday, Suspense Sister Cynthia Hickey interviews author Sandra Robbins! That’s what’s happening this week on the Suspense Sisters! Don’t miss a single day. Sign up through email so you’ll get updates in the exciting world of inspirational suspense and mystery! And watch for great giveaways every week! (Richard sneaking in here to say that Betti Mace has won a signed copy of Miracle Drug. You could be the next winner).